Roofing Contractors in Bergen County, NJ | The Homestead Roofing Co.
For over 85 years we have been a trusted, reliable roofer in northern NJ who specializes in quality materials, exceptional service and competitive pricing. Add value to your home by getting new siding, windows, or gutters or a new roof. Fully licensed & insured commercial roofers specializing in single ply systems, EPDM, TPO roofing. Get a free estimate! We offer all types of roofing solutions to protect your home including emergency roofing services due to storms and winter weather. We have been repairing roofs in northern NJ for 85 years. Get your roof repaired by the most experienced team in NJ. Get your free estimate! 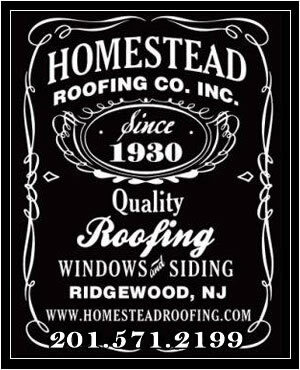 For over 85 years, the roofing contractors in Ridgewood, NJ at The Homestead Roofing Co. have been serving the roofing and exterior needs of New Jersey. Throughout the history of our roofing company, Homestead Roofing has remained focused on customer satisfaction and delivering the highest quality roofing services & materials. It is for this reason Homestead Roofing has remained a leader among NJ Roofing Companies. While others seek to profit by cutting corners, or recommending cheap products to customers, our roofing company believes that a good reputation and consistent roofing services will reap bigger profits in the long run. By being trustworthy, we believe that we will enjoy a long term profitable business that serves the community. Homestead Roofing is a leader in vinyl siding installation and services all of Northern New Jersey Vinyl siding needs. We service Bergen County, Passaic County, and Morris County. Our New Jersey residential and commercial roofing specialists realize that high-quality roofing for your home’s exterior is very important for both appearances and function. For this reason, we only use the highest quality materials available in the roofing industry. We have a large selection of vinyl siding and exterior doors – contact us or visit our showroom located on Goffle Road in Ridgewood, NJ. From tear offs to the second layer of shingles, and roof leak repairs. Our highly trained roofing technicians are available from minor roof repairs to whole roof replacements in Ridgewood, NJ, including replacing missing or broken shingles. We use top quality materials. All our roofing services are done professionally and neatly. Family owned and operated. Licensed and insured. Call Homestead Roofing Co. today at (201) 444-2233! 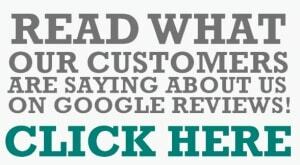 At Homestead Roofing in Bergen County, NJ, we treat every customer as our best customer. We have both the experience and the skill set to get the job done right, on time, and within budget.